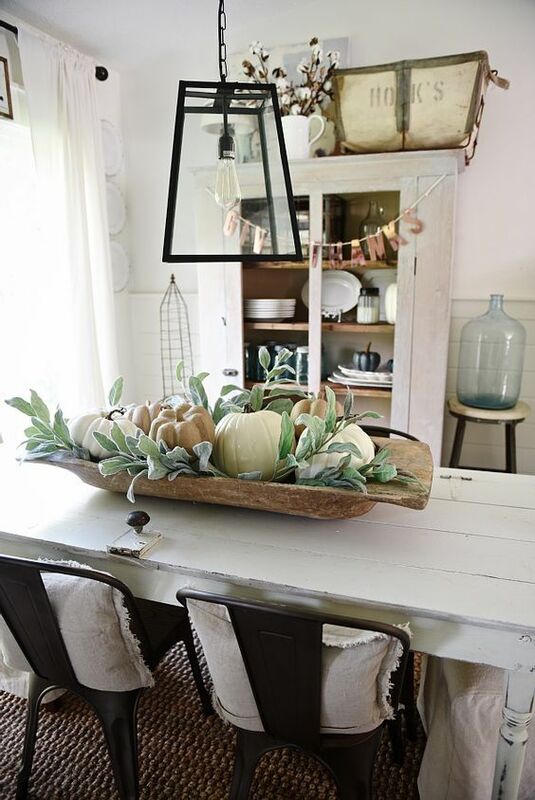 As much as I love the beautiful fall foliage and deep rustic tones of the season, when it comes to decorating – I like a much softer palette. 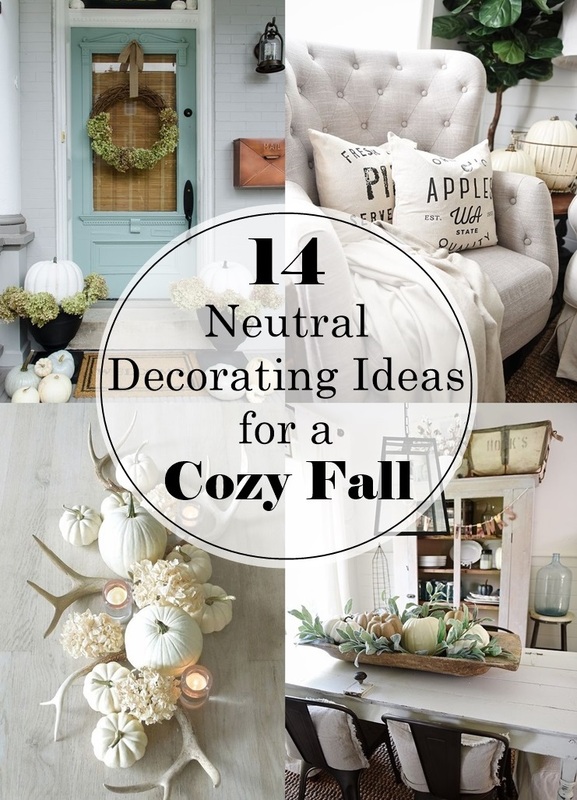 There’s something about calm neutral shades that just makes me swoon. 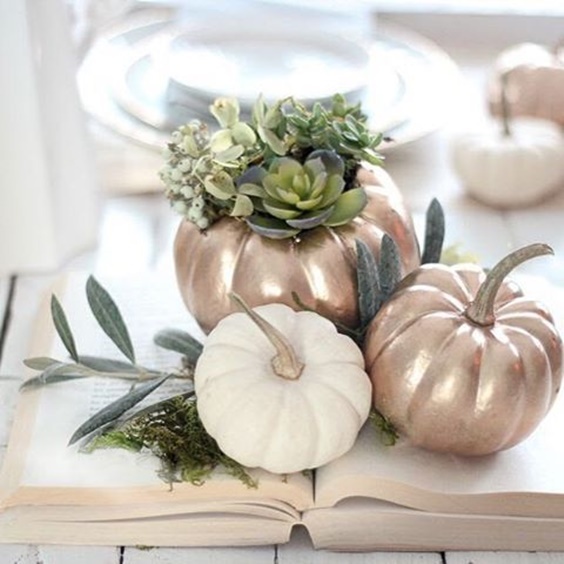 Whether its white pumpkins, burlap, or metallic touches – here are some simple ideas to incorporate the festive spirit of fall without all the seasonal cliché. 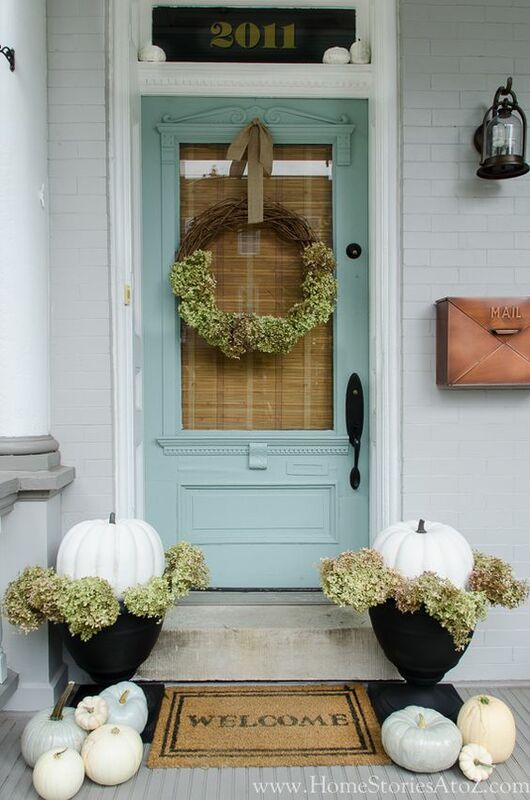 Welcome your guests with an inviting porch filled with white pumpkin planters and green hydrangea blooms. 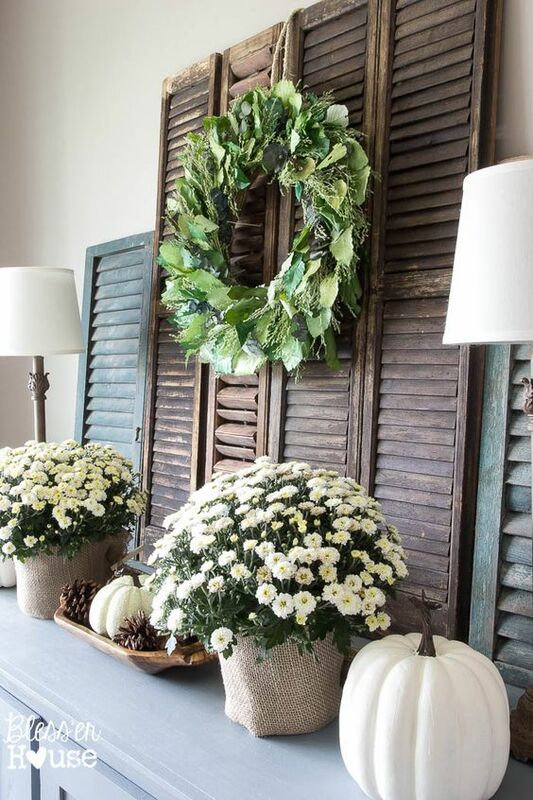 Potted flowers wrapped in burlap and mixed green wreath adds a rustic touch. 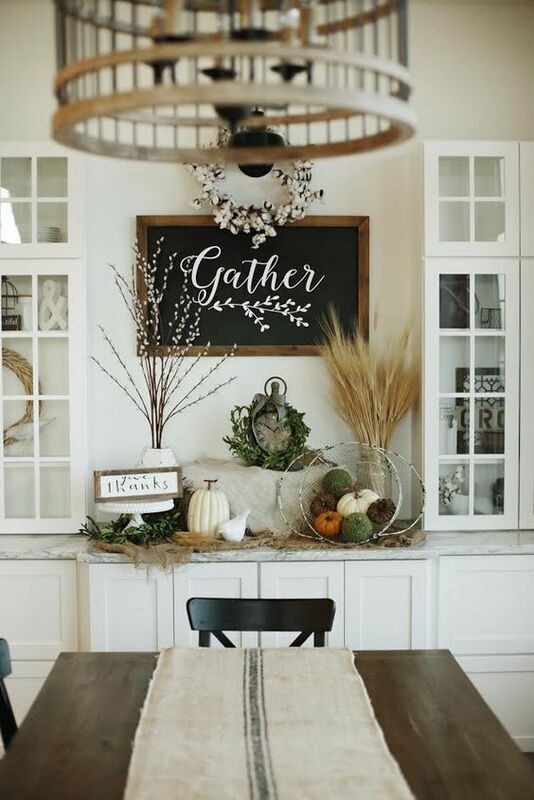 Cotton wreath, chalkboard art, wheat, and seasonal touches add a cozy farmhouse feel. 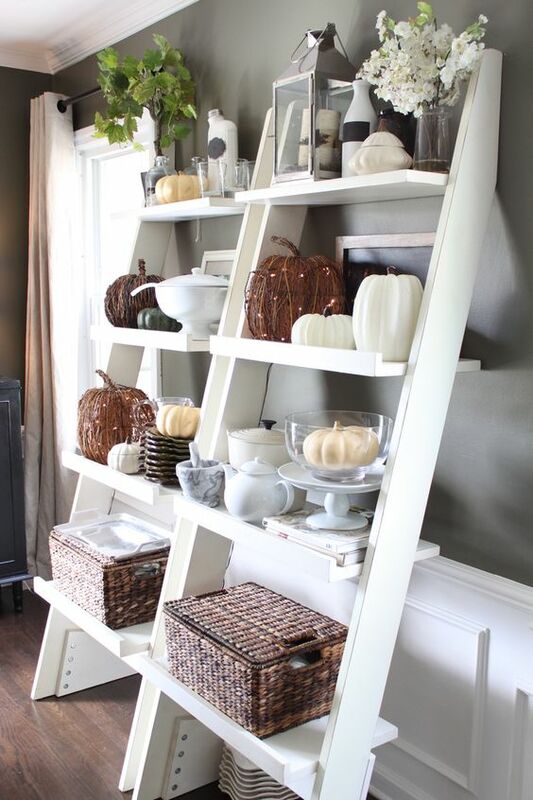 Give your ladder-style shelf some character with white and wicker pumpkins. 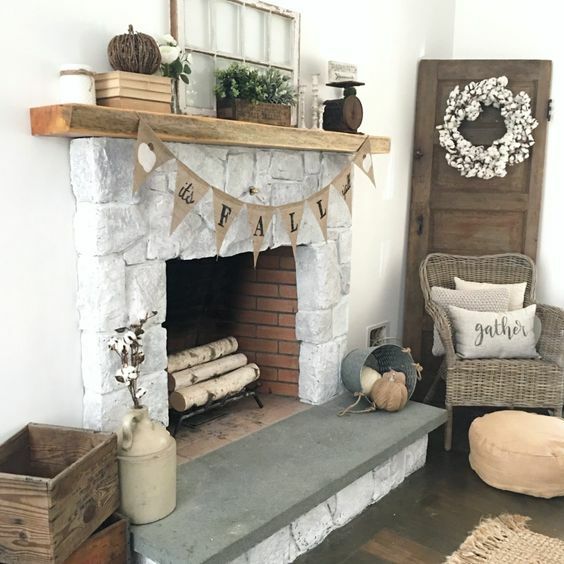 A simple burlap banner, cotton stems, and wicker pumpkins sets a cozy scene. 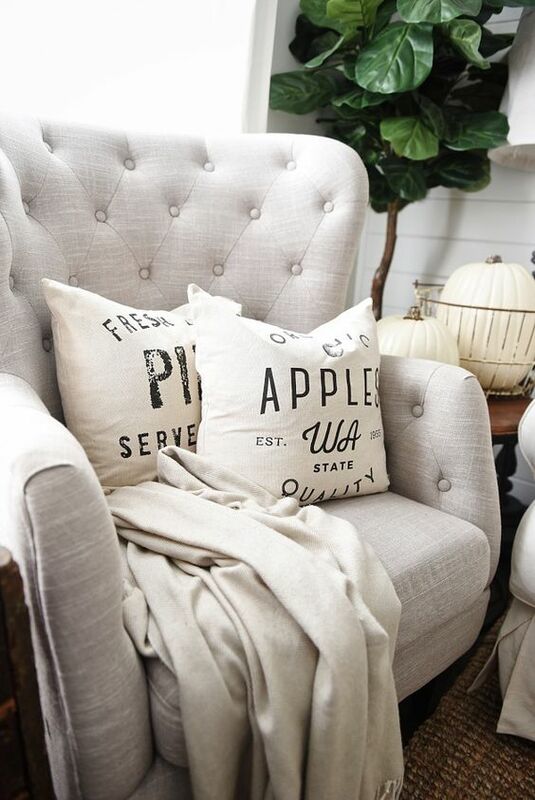 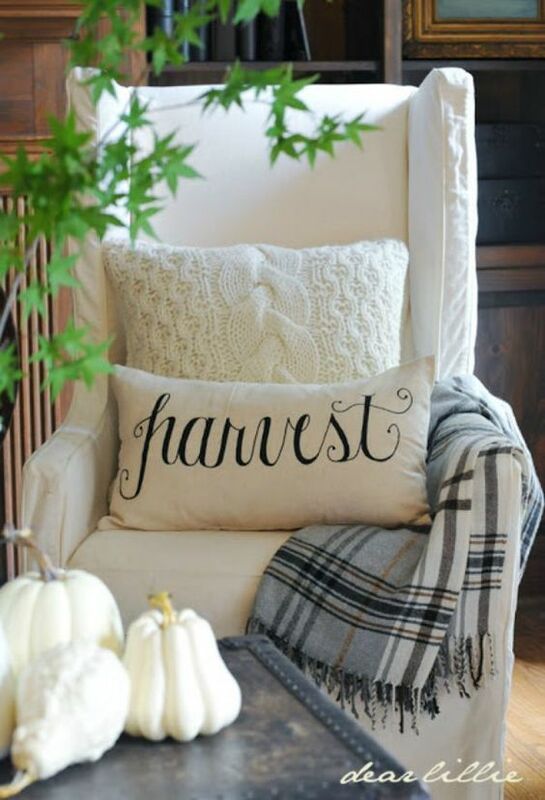 Snuggle up on a cozy chair with fall accent pillows. 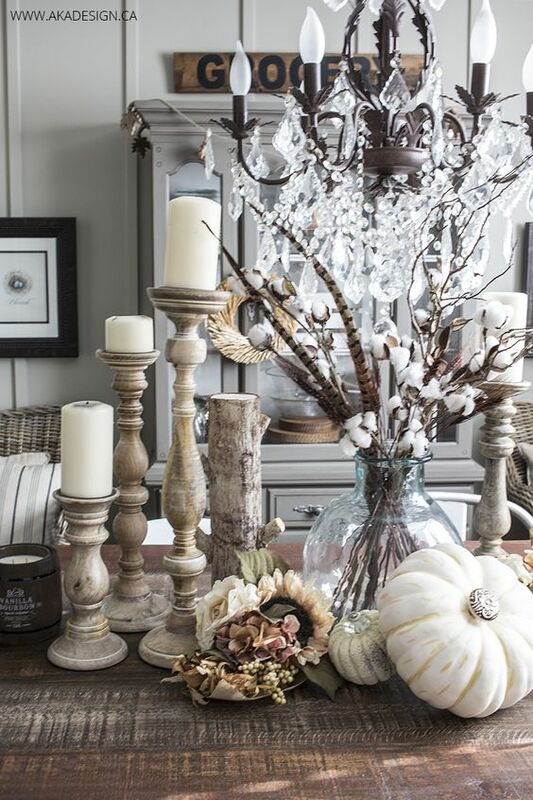 Pheasant feathers, cotton stems, wooden candlesticks, and fancy pumpkins instantly glam up a table. 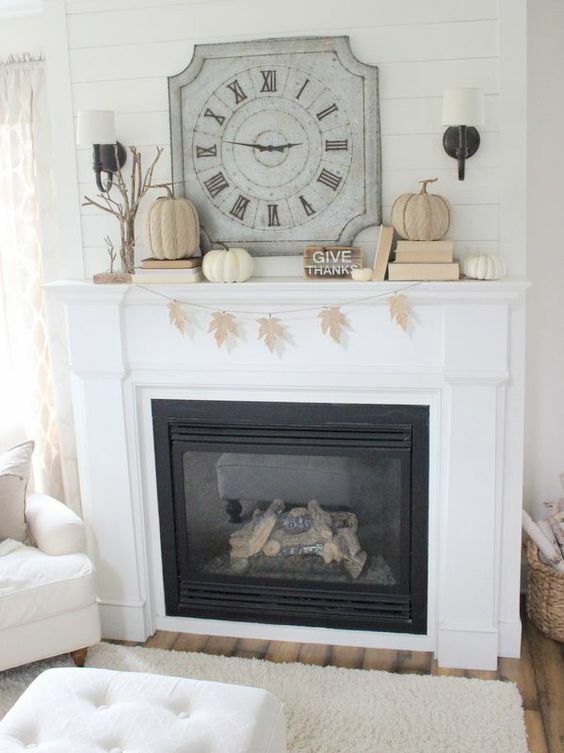 Create a whimsical fireplace mantel with a delicate leaf garland and twine pumpkins. 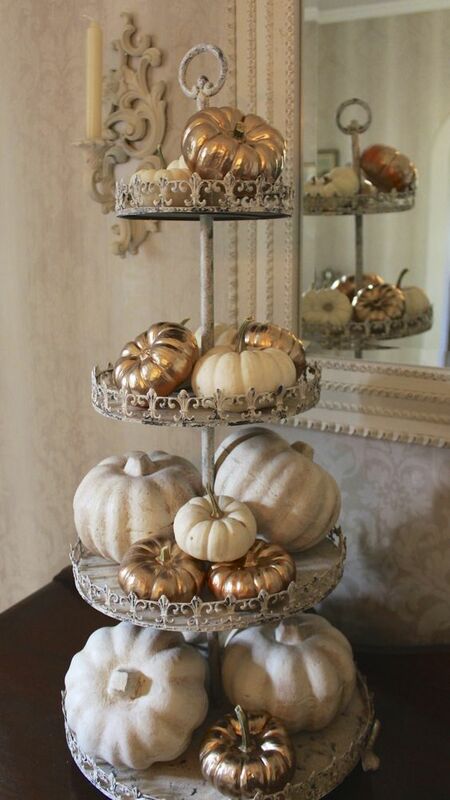 Mix white and gold pumpkins on a cake stand for a simple elegant touch. 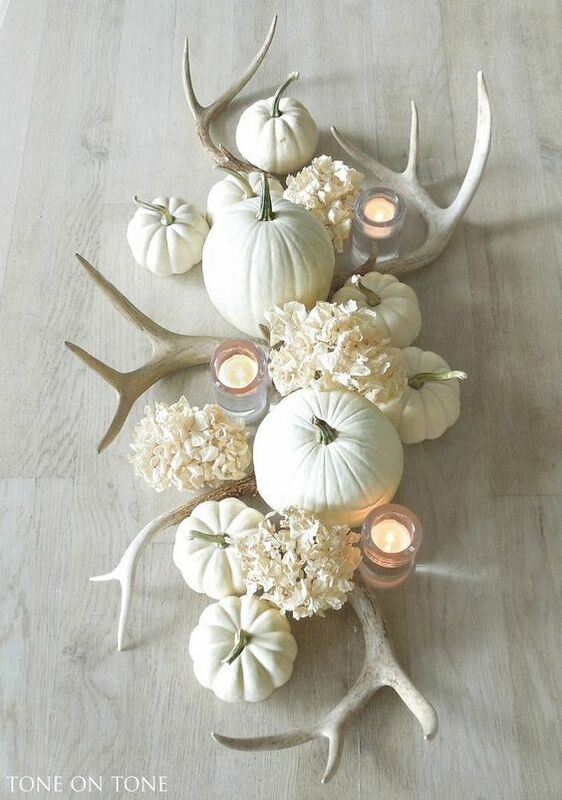 Create a chic centerpiece with a simple dough bowl, greenery, and pumpkins. 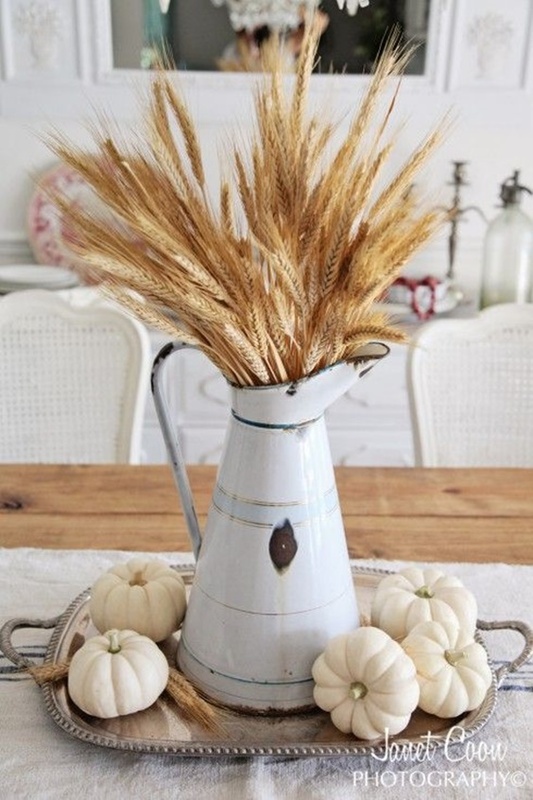 It doesn't get simpler than wheat stems on a platter to celebrate the season.